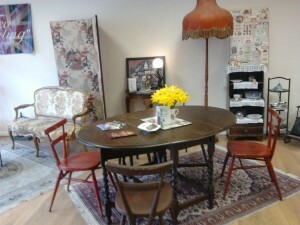 A new monthly antique and vintage market is to open in The Avenue in West Ealing on Saturday 27th September. 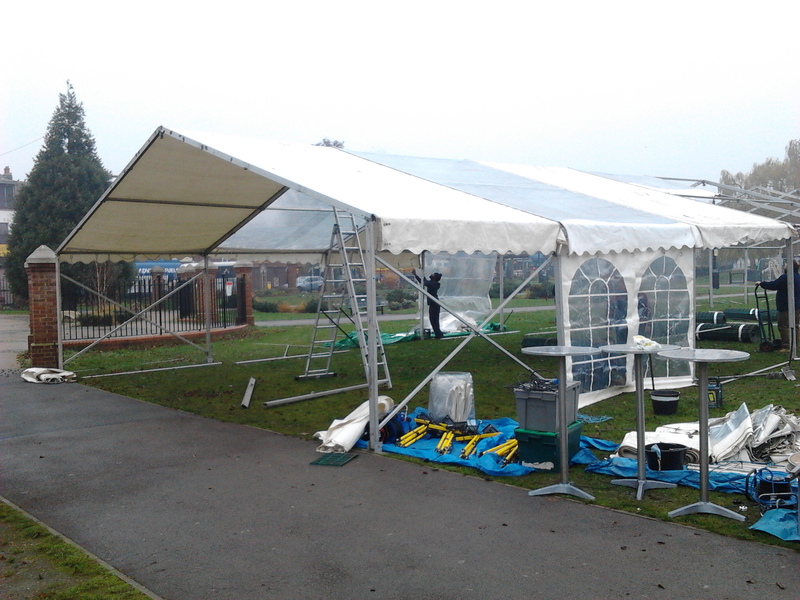 It will be on the stretch of pavement near The Drayton Court Hotel and will run from 9am -5pm. It will be on the last Saturday of each month through to March with extended hours in December. It’s all part of a trial run to encourage people to shop locally and if it’s successful it will be continued. Yes, you can grow apricots in this country! They may have come originally from China or Armenia but they have been adapted to grow in colder climates. Normally, the tree on our allotment gets hit by a late frost and that’s usually just about the end of the fruit for the year. However, this year the conditions must have been almost perfect and we had a bumper crop. So once we’d eaten some fresh and frozen some for later we still had a stack left. After a bit of experimentation the decision was – let’s make apricot butter. Fruit butter, like fruit cheese, is a perfect accompaniment to cheese (the dairy sort). The difference is simply the amount of boiling involved. Fruit butters spread like butter and fruit cheeses need slicing. If you fancy a treat then drop in to Cheddar Deli on Northfield Ave and buy a jar of our apricot butter and just taste how good it is with cheese. It works best, in my view, with hard cheeses and creamy ones. You may want to think twice before putting it with a blue cheese but no harm in trying it. Cheddar Deli are also selling our elderflower cordial, apple juice, chutneys and lemon elderflower marmalade. Some of our produce is also available through Edible Ealing’s box scheme and we’ve just delivered some to The Fox Craft Barn next to The Fox pub in Green Lane, Hanwell. So, you’ll find our Abundance produce somewhere near you. If you can’t get to any of these outlets then do please email us – wenabundance@gmail.com – and we’ll see how best we can help. Northfields Summer Night Market is back with a brand new layout, live jazz and great selection of local businesses selling a wide array of products and food. All under cover so no need to worry about the weather. Saturday 5th July at Kingsdown Methodist Church in Northfield Ave from 6.30-9.30pm. Free entry. The OPEN Ealing shop in Drayton Green Road has been transformed in to a bright and relaxing cafe, open from Monday-Saturday 10am-4.30pm. 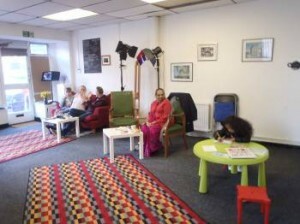 Working in partnership with OPEN Ealing Geoff and Gita have created a lovely space with the aim of giving people the chance to drop in for a first class cup of coffee or tea and have a chat with them or whoever happens to be there at the time. I’ve dropped in twice and bumped in to people I know and had a thoroughly enjoyable half hour. It’s got the potential to be just the sort of community hub and meeting place West Ealing needs. In the evenings OPEN Ealing will be continuing with its arts activities and events, so it’s great to see the shop being put to good use all times of day. What is more, Geoff and Gita really care about the quality of their tea and coffee so have sourced some of the very best for you to drink. Do drop in if you’re nearby and try it out. West Ealing businesses have voted ‘yes’ to setting up a Business Improvement District in West Ealing. A BID has been operating in Ealing Broadway for some years and their BID team worked long and hard to persuade West Ealing’s traders to follow their lead. The idea behind a BID is for businesses in the area to contribute about a 1% levy on their rateable value to the BID which then uses that money on projects to improve and promote the area – safety, marketing and promotion, special events and so on. 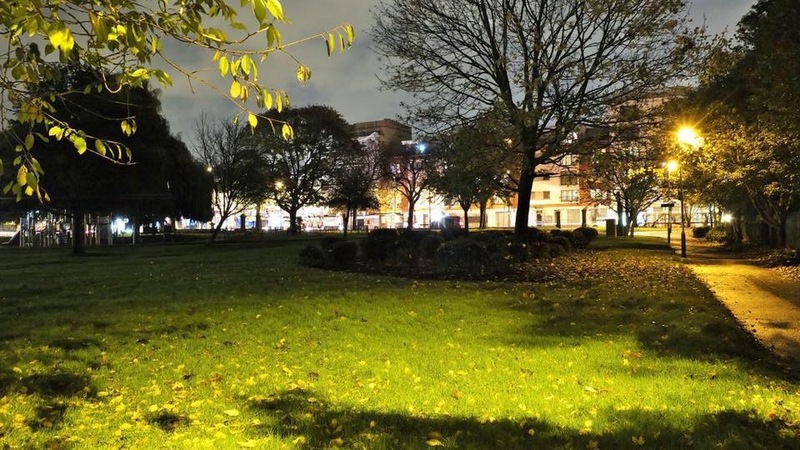 Over the West Ealing BID’s initial five years the amount raised by this levy will be £1 million. Sarah Evans of Waitrose is currently the chair elect of the West Ealing BID and other businesses will be represented on its board of directors. I’ve said this before but it feels increasingly to me that West Ealing is changing, partly driven by Crossrail, and we wish the West Ealing BID every success in playing its part in improving West Ealing. From 3 March -15 March 2014, Tea Darling will transform #EalingPopUpShop into a vintage tearoom, where you can enjoy homemade cake while sipping a nice cuppa amongst a nostalgic British setting. At the same time you will be able to buy handmade cushions, throws, crochet items, candles and baby clothes. 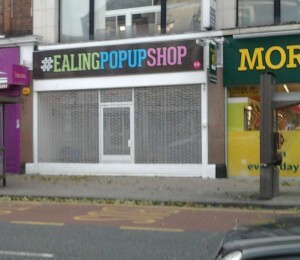 The #EalingPopUpShop has been supported by the Riot Recovery Fund to help generate business in West Ealing. Opened by Ealing Council, the shop is located at 99 Broadway W13 9BP and is open from 10am-6pm, Monday to Saturday. Last week it was Papa John’s and this week it’s Peri Peri Original that’s soon to open in West Ealing. 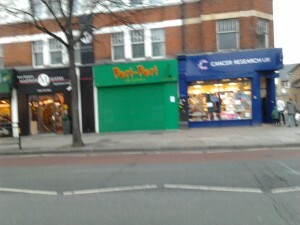 I think that also makes the third such Peri Peri chicken shop on the high street. I own up to not tried this style of cooking so I had to look up what Peri Peri (or Piri Piri) chicken is all about. If I’ve got it right it’s a Portuguese style dish from Africa with a hot chilli sauce made from the peri peri chilli. I’ve read that the high street average for vacant shops is around 14%. 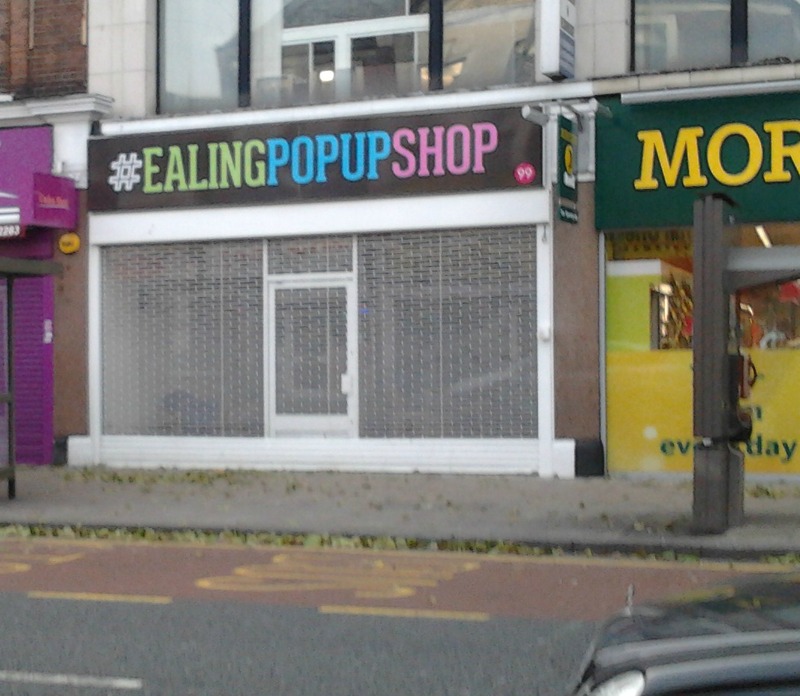 I’m going to have to count how many empty shops we have in West Ealing as I don’t think we have that many. I have written many times about the future of our high street and how I think it is unbalanced by being dominated by budget shopping. However, if my guess is right then we have fewer empty shops than the average and that’s good going in these times. 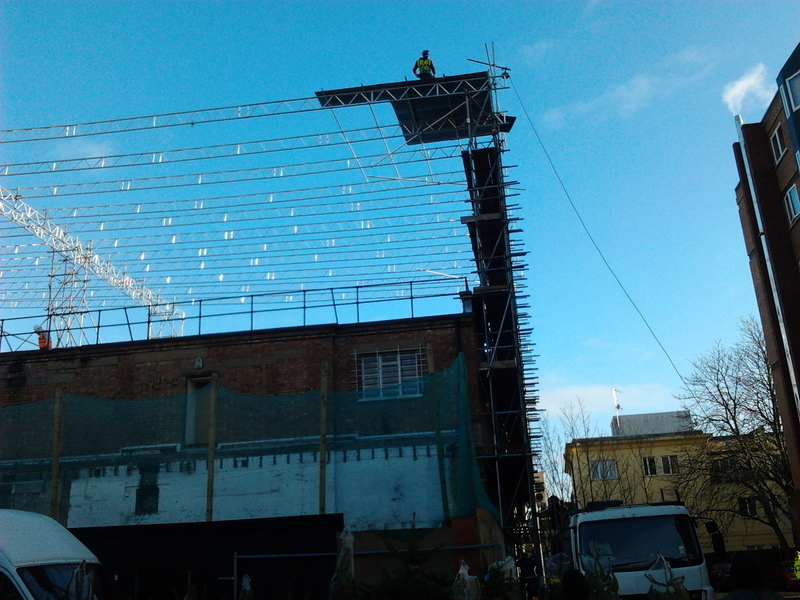 After some 10 days of silence and no sign of any builders, a crew was on site today (Saturday) dismantling the scaffolding that appears to one cause of the delay. You can see from my photo (apologies for the poor quality) that they have taken down all the metal sheeting that was across the top of the site. 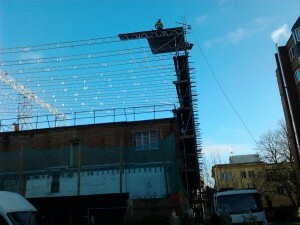 It looks like health and safety concerns are the reason for the scaffolding problems. Another cause of the delay seems to be the revised planning application for a taller building which is needed to up the number of bedrooms to meet the requirements of Holiday Inn Express. The one who suffers most from all this delay is our local butcher Tony Luckhurst who is quoted in this week’s Ealing Gazette as hoping he will be back in February or March. Tony is currently working for another butcher to pay his bills. The work will really have to get going if there’s any chance of Tony being back in March but I hope he is as plenty of us are missing him. 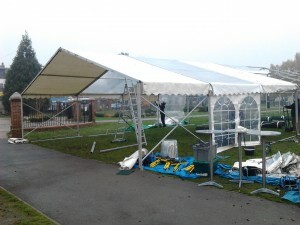 It’s 10.30am and the marquee is taking shape and already it’s causing interest as people come up to ask what’s happening. The first of the children’s carousel rides has just arrived. It’s all looking good.